Time is something that we all have in common, and it governs the way we exist. When we try to describe time, we find ourselves stumbling, yet we rely on it to go about our daily activities. 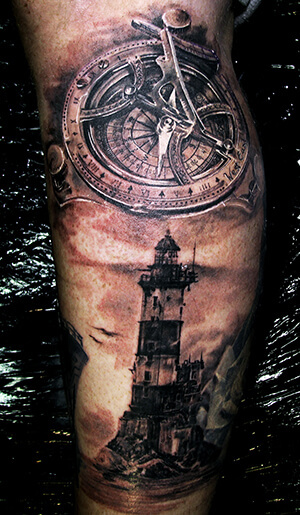 Clocks are the machines we use to track time, and so it’s no wonder they’re a popular tattoo design. There are several variants of clock designs, which can represent anything from mortality to ancient wisdom. 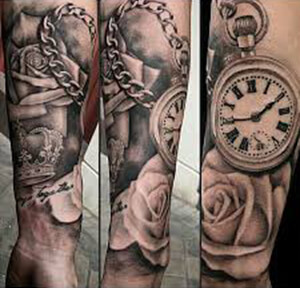 If you’re interested in learning more about the meaning behind clock tattoo designs, check out our list below! Melting Clock: this classic image appears in Salvador Dali’s paintings, and it symbolizes a delusional or dynamic experience of time. Flower Clock: the clock face combined with a rose represents everlasting love. 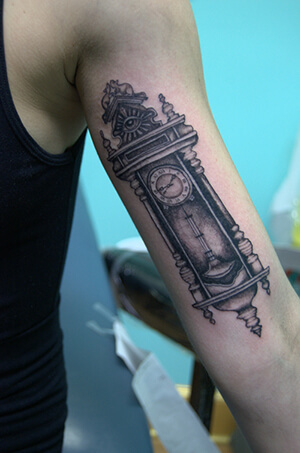 Grandfather Clock: this vintage design can symbolize ties to one’s past or nostalgia for an earlier time. Pocket Watch: this eye-catching piece of jewelry honours special events in one’s life. 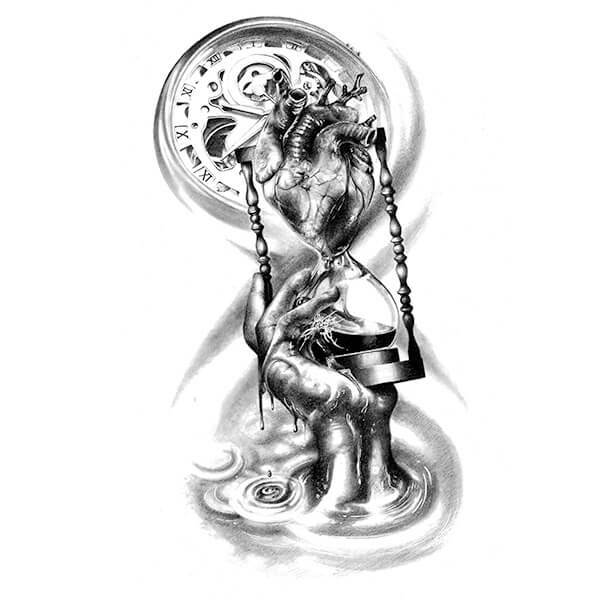 Prison Time Clock: this tattoo design features a broken clock without hands, and it signifies the prisoner’s long sentence. Skull Clock: perhaps the most straightforward design, the skull clock represents mortality and death. 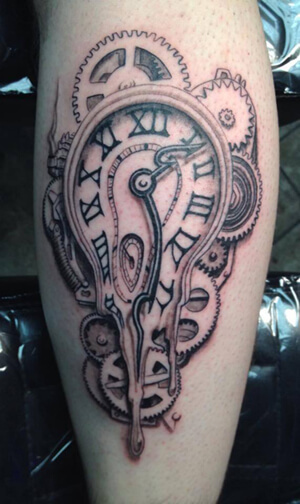 Stopwatch: this tattoo design usually honours a timed event in one’s personal life, like a personal best in a race. Sundial: the sundial tattoo represents ancient wisdom. 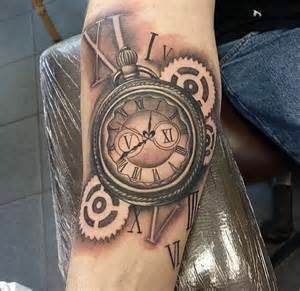 Timeless Clock: this tattoo design features a clock face with no hands, and it symbolizes losing track of time or disregard for the passage of time. 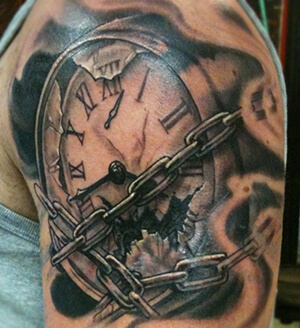 We’re all bound by time, and clock tattoo designs can represent multiple important human truths. 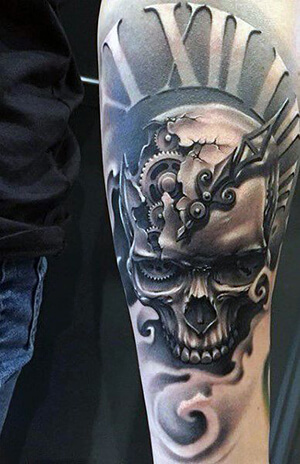 Whether you’re celebrating a momentous life accomplishment, or you’re taken by this elusive fourth dimension, a clock tattoo can be a meaningful symbol to get tattooed on your skin. 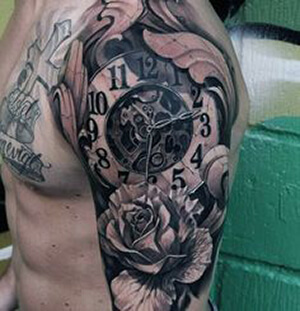 If you know of other interesting clock tattoo designs, let us know about them in the comments section below!